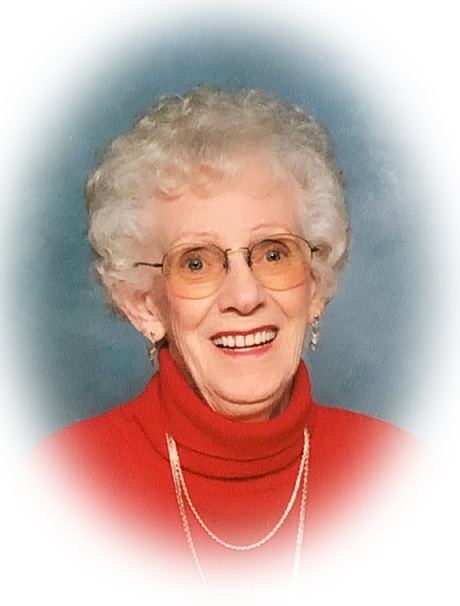 Obituary for Genevieve M. Gotshall | Sheetz Funeral Home, Inc.
Genevieve M. Gotshall, 98, of Mount Joy, passed away on Friday, March 22, 2019 at her residence. Born in Richland, PA, she was the daughter of the late Ralph and Belva (Gabler) Hartman. Genevieve was the wife of the late Charles V. Gotshall who passed away on November 16, 1993. Genevieve retired from Kinseys Archery Products in 1988 after 25 years of service as a fletcher. She was a member of Glossbrenner United Methodist Church since 1959. Genevieve enjoyed gardening, needlecraft and traveling. Genevieve is survived by a daughter, Carole Ann Shetter of Mount Joy; two grandchildren, Craig Shetter, husband of Cori of Elizabethtown and Stacy Klinedinst of Elizabethtown; three great grandchildren; and two sisters, Connie McCook, wife of Ralph of Richland, PA and Peggy Beck of Richland, PA.
She was preceded in death by a step-father, Ralph Weaver; a sister, Lois Duell; and a brother, Kerry Weaver. Services will be private at Mount Tunnel Cemetery in Elizabethtown. In lieu of flowers, memorial contributions may be made to Glossbrenner United Methodist Church, 713 Church Street, Mount Joy, PA 17552.